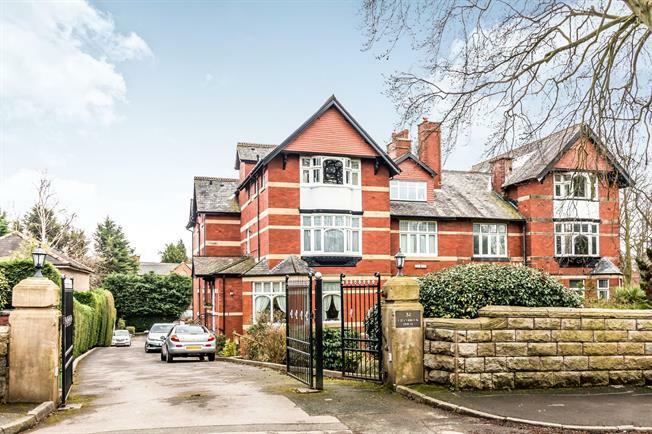 2 Bedroom Flat For Sale in Manchester for Offers Over £290,000. WOW this stunning apartment is a must view, located in the sought after village of Prestwich with local amenities at your doorstep, this beautiful apartment boasts lift access, high ceilings and spacious rooms throughout comprising; entrance hall with starlight granite floor, large living/ dining room, master bedroom with bespoke fitted wardrobes, and a large en-suite bathroom, second bedroom with bespoke fitted wardrobes, kitchen/diner with fitted Neff appliances and a family bathroom. With gas central heating throughout and uPVC double glazing this characterful apartment oozes charm. Must be viewed to truly appreciate the size and standard. Hurry don't miss out! Double glazed uPVC window. Radiator, spotlights. Complimentary Granite Quartz work surfaces, wall and base units, inset sink, Neff integrated double oven, Neff integrated microwave, Neff integrated hob, Neff integrated dishwasher and integrated freezer and integrated fridge freezers. Double glazed uPVC window. Radiator, fitted wardrobes, ceiling light with fan. Double glazed uPVC window facing the side. Radiator, ceiling light with fan. Low level WC, panelled bath, shower over bath, vanity unit with inset sink, fully tiled.